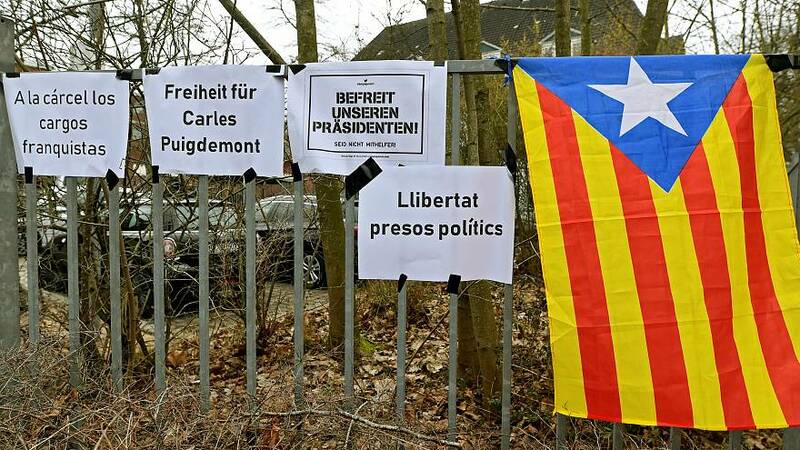 The leader of a separatist party in Germany has filed a criminal complaint against the detention of Carles Puigdement, likening his arrest to an abduction. Citing section 234a of the German Criminal Code, on which the complaint is based, Bavaria Party leader Florian Weber defines a kidnapper as "whosoever by deception, threat or force transports another into a territory outside the Federal Republic of Germany or causes him to go abroad, or prevents him from returning from abroad and thereby exposes him to the danger of being persecuted for political reasons." Weber filed the case with the public prosecutor's office in Munich, but said he listed the accused as “unknown” as it is unclear who initiated the arrest. Puigdement was seized by police in Germany on Sunday after a warrant was issued for his arrest. The Catalan separatist leader faces rebellion charges after holding an independence referendum in October, which was deemed illegal by Spain. Weber said the case was a “political issue” that German authorities should stay out of, adding that they were subsequently fueling the political crisis by adhering to the “intransigent” demands of Madrid. The protests in Barcelona that followed were proof of this, he added. The complaint read: “A European arrest warrant has been issued against Carles Puigdemont, regional president of Catalonia. He then fled abroad. In several European countries, the arrest warrant was not complied with by the governments there. “When he entered the country from Denmark on 25 March 2018, however according to officials he was arrested by a concerted action of state and federal police in Schleswig-Holstein. In this respect, it can be assumed that a larger number of people, including political leaders, are involved. When asked if he thought his complaint would make a difference, Weber said it would “unfortunately” not change anything for Puigdement, who is reportedly being held in a prison cell in Neumuenster, northern Germany. The Bavarian Party leader has been inspired by developments in Catalonia, as he himself longs for self-determination in Bavaria, the largest federal state in Germany. A survey conducted by a local newspaper found 32% of respondents in the region supported independence from Berlin — and if Weber can build upon that, he plans to push for his own referendum.